Peru is South America's fourth largest country in terms of population, with a population of about twenty nine million. About 45% of the population is Amerindians, 37% is mestizos, 15% is European, and the last 3% is comprised of Asians, Afro-Peruvians, and others. The Amerindians live in the southern Andes; the mestizos live mainly in urban areas, usually in the cities of Lima, San Martin and Piura. People of European descent usually reside in the larger cities of Peru, in the northern and central part of the country. In the western portion of South America, lies the country of Peru, otherwise known as the Republic of Peru. The countries Ecuador, Columbia, Brazil, Bolivia and Chile all border Peru, and on the west side of the country is the Pacific Ocean. Peru is a representative democratic republic separated into 25 regions, plus the province of Lima. Every region has it's own elected government with a council and a president that serves a term of four years. A city council administers the province of Lima. Peru attained its name in the early sixteenth century from a local ruler who resided near the Bay of San Miguel in Panama. Peru is a derivative of the ruler's name, Biru. The name gained legal status in 1529 by the Spanish Crown. The country produces beautiful hand woven textiles, and has an abundance of exotic animals. The country of Peru covers roughly 496,193 square miles. The Andes mountain range runs parallel to the Pacific Ocean separating the country into three different geographical regions. The coastal region to the west, the sierra region, which includes the Andes Mountains, and the jungle region to the east, which is covered by the Amazon rain forest. The highest point in Peru is in the Andes Mountains with an elevation of 22,205 feet. The jungle area comprises about 60% of Peru's land area and is the world's fourth largest tropical forest. The climate is different in each section of the country, from a drier climate on the coast, to a tropical climate in the jungle area. Humans have inhabited Peru as early as 9,000 BC. Early developments, such as the Norte Chico civilization, were succeeded by archaeological cultures including Wari, Chavin, Mochica, Nazca, and Chimu. The Incas came into power in the fifteenth century, and created the largest empire of that time. In 1532 conquistadors led by Francisco Pizarro defeated the Inca Emperor. As most of South America was rampaged by war in the early nineteenth century, Peru remained a royalist stronghold. However, between the years of 1879 and 1883, Chile overtook Peru in the War of the Pacific. Internal struggles were prevalent after the war until finally a period of stability came under the Civilista Party. The Great Depression caused a downward spiral and the city of Leguia was defeated and political turmoil ensued. Peru started to recover in the years between 1990 and 2000, but there were rumors of corruption and authoritarianism. 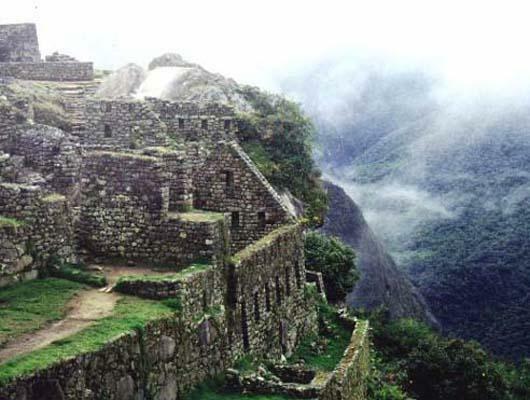 Peru has beautiful scenery and many great sightseeing opportunities. 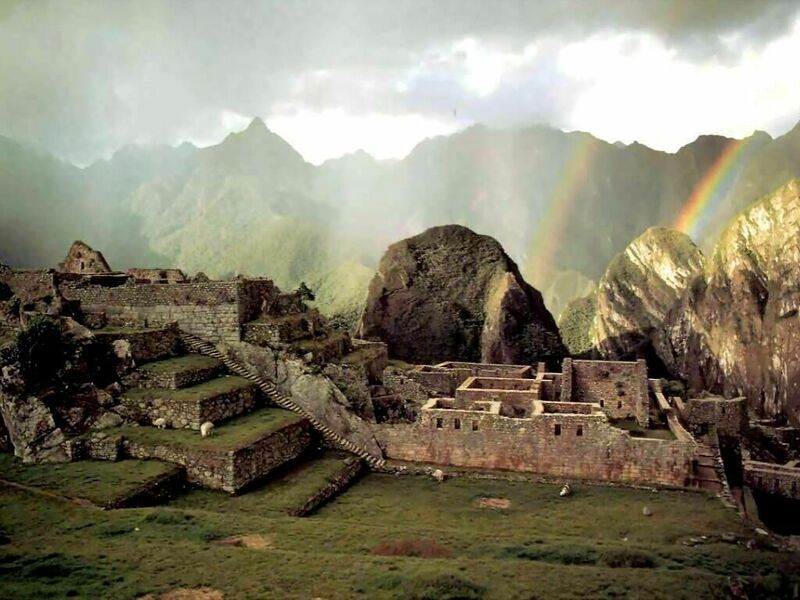 Perhaps the most well known site in Peru is Machu Picchu, built by the Incas starting around 1430 AD. Machu Picchu is known as "The Lost City Of The Incas" and is positioned on a mountain ridge 8,000 feet above sea level. Between the years 1684 and 1687, Viceroy Melchor de Navarra and Rocafull built the Lima City Walls. Sections of this wall have been restored and are a big tourist attraction. The walls were built to protect the city of Lima from attacks by pirates and privateers. 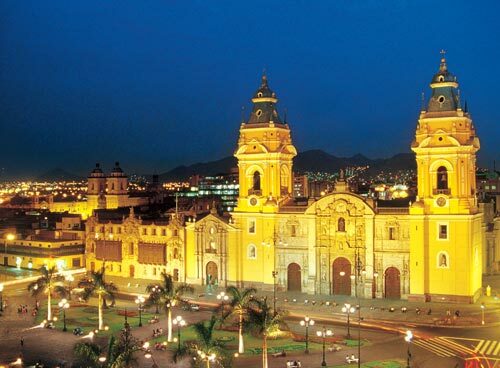 Lima is also the site of the Cathedral of Lima, constructed beginning in 1535. Wear and tear has necessitated many restorations since that time. Prominent people such as Antonio de Mendoza and Francisco Pizarro are buried in this cathedral. Peru has a diverse nightlife with many nightclubs and bars throughout the country, in addition to comedy clubs and other entertainment venues. The nightlife is a bit more active in the jungle region than the mountain and coastal regions. Most of the country's population resides in the jungle areas of Peru. Dance clubs, bars and other nightclub venues are in abundance. The mountain and coastal regions are more subdued. These are wonderful areas to explore in the evening. With no light pollution, the mountain area is a great place to look up into the night sky and see all of the stars. And walking along the west coast at night is a lovely experience. Most of the residents of Peru, about 75%, are Catholics. Other religions include Judaism, Jehovah's Witnesses, Mormon, Buddhism, Hinduism, Muslim, and HareKrishnas . Although Peru is a multinational country, the official language is Spanish. Other languages spoken include aboriginal languages including Quechua and Aymara, as well as several different Amazonian languages including Urarina . The aboriginal languages are mainly spoken in the Amazon forests and in the central Andes. Over Peru's existence it is said that as many as 700 different languages have been spoken at one time or another in the country. The cuisine of Peru is thought to be one of the world's most diverse; a combination of four continents - Europe, Asia, Africa, and South America. The diversity of Peru's cuisine is due to the country's unique geography, the blending of many cultures, and the incorporation of older cuisine with the newer varieties. Peru has an abundance of produce. The country's crops include 35 species of corn, 15 species of tomatoes, 2,000 varieties of potatoes, and over 2,000 kinds of sweet potatoes. Peru also has an abundance of fish, over 2,000 species, and also has 650 native fruit species. Due to this abundance of food, Peruvian cuisine is fresh and has a vivid taste. A diversity of beverages are also consumed, from soda, to tea, to brandy, anything is available in this country. A typical dish in Peru consists of a raw fish fillet marinated in lemon juice, aji limo, and onions.